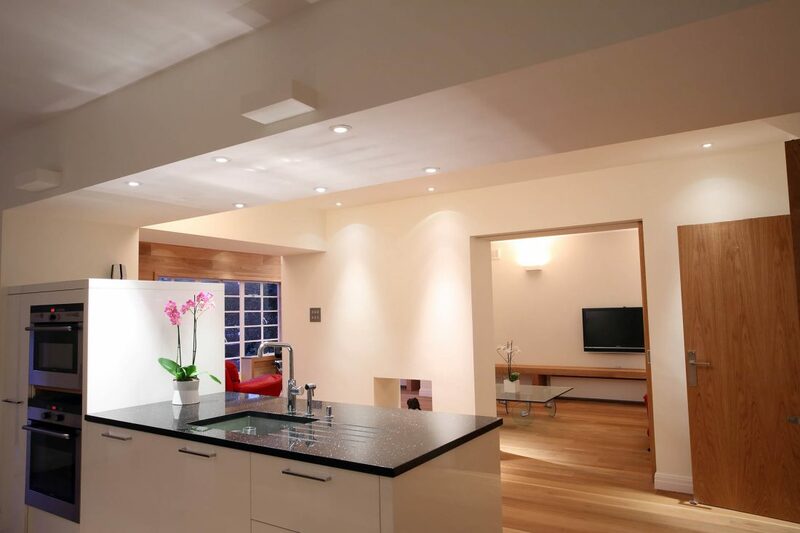 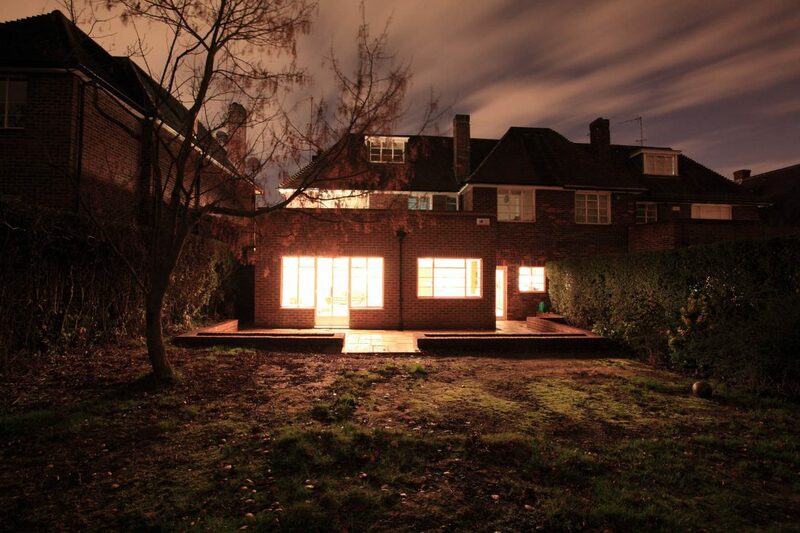 This project involved the complete refurbishment, extension and loft conversion of this 1930’s house within the Hampstead Garden Suburb Conservation Area, N2. 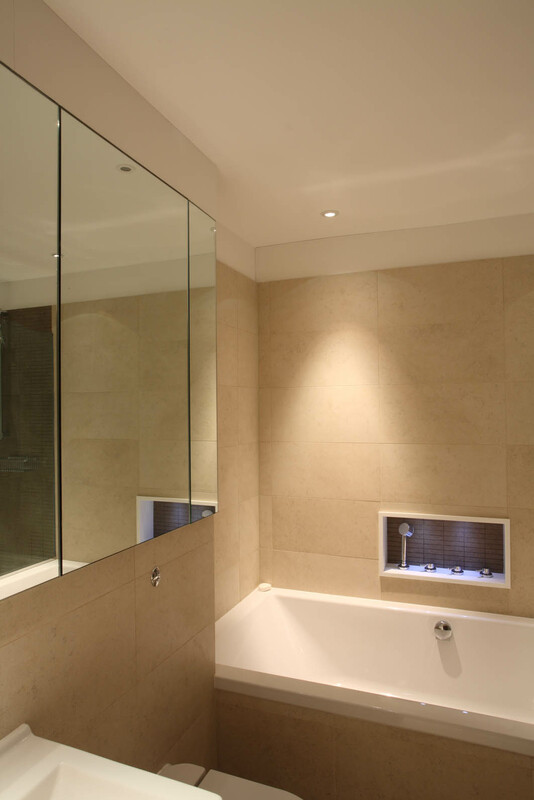 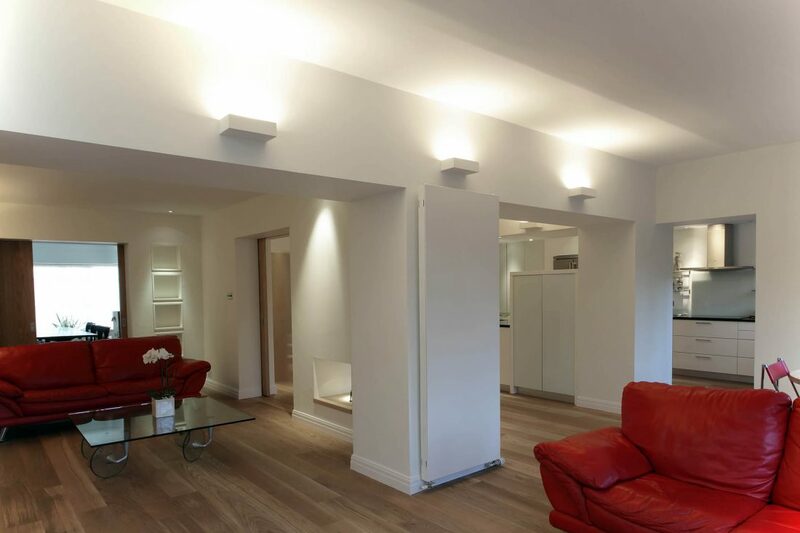 The client required a large open plan space whilst being able to close these off into smaller spaces, rooms if required. 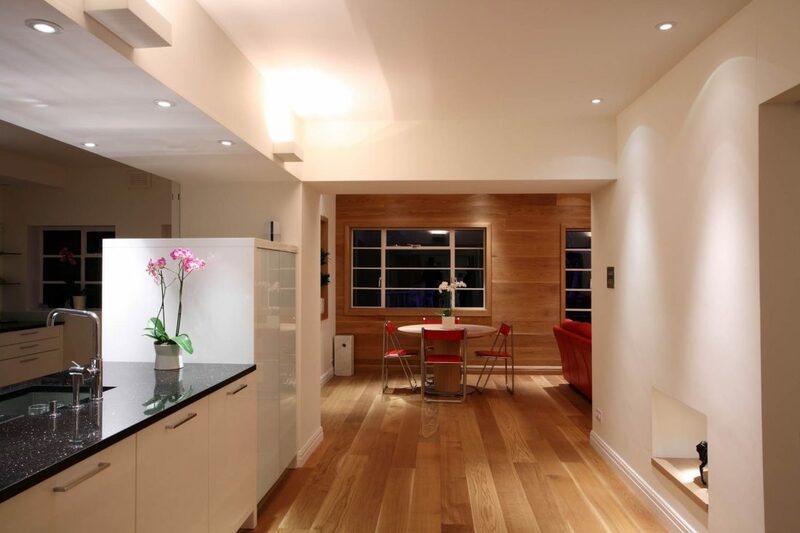 This was achieved with large Oak sliding pocket doors that when closed created more intimate and private spaces as family needs changed. 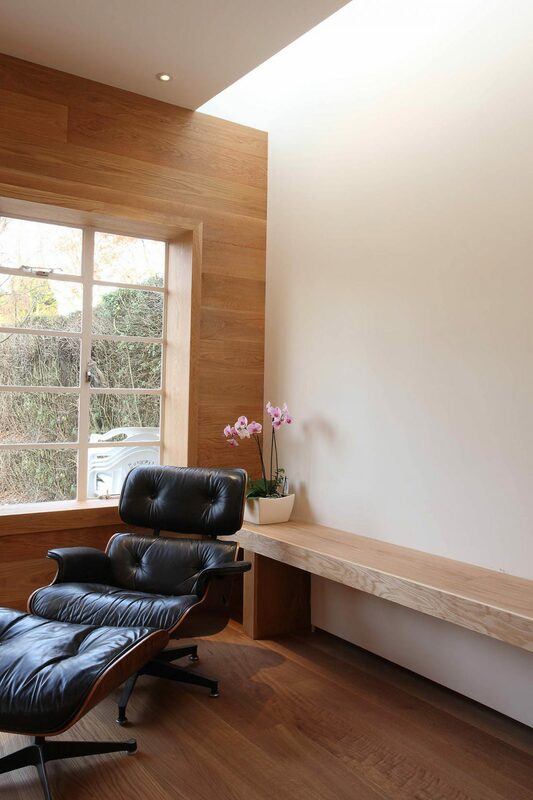 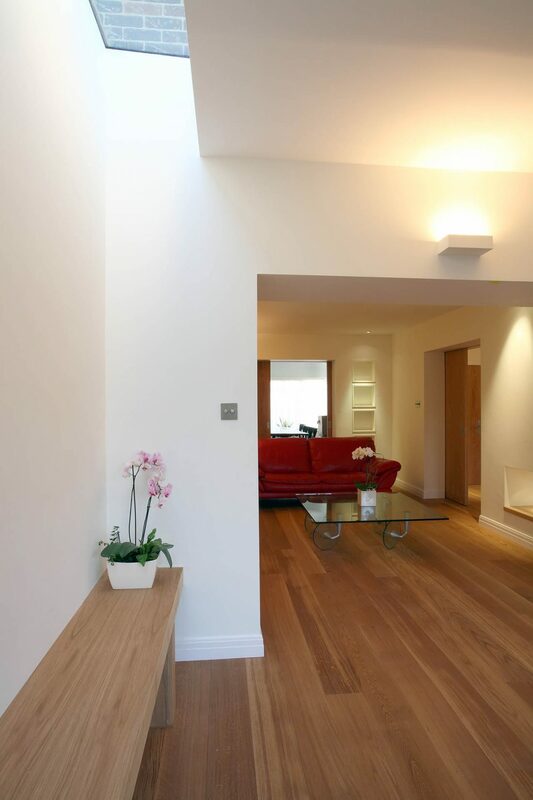 An oak floor was run up the wall to a large extension to add warmth to a large extension whilst a wide rooflight washed natural light down another. 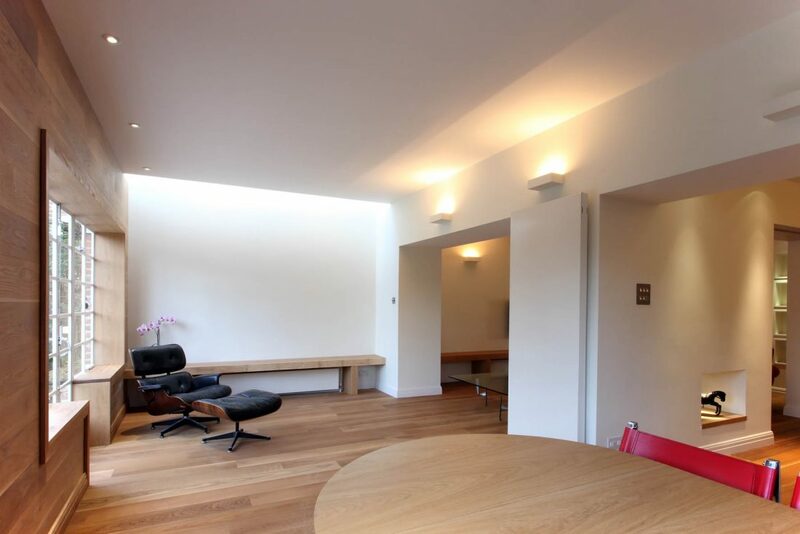 Hampstead Garden Suburb Conservation Area, N2.